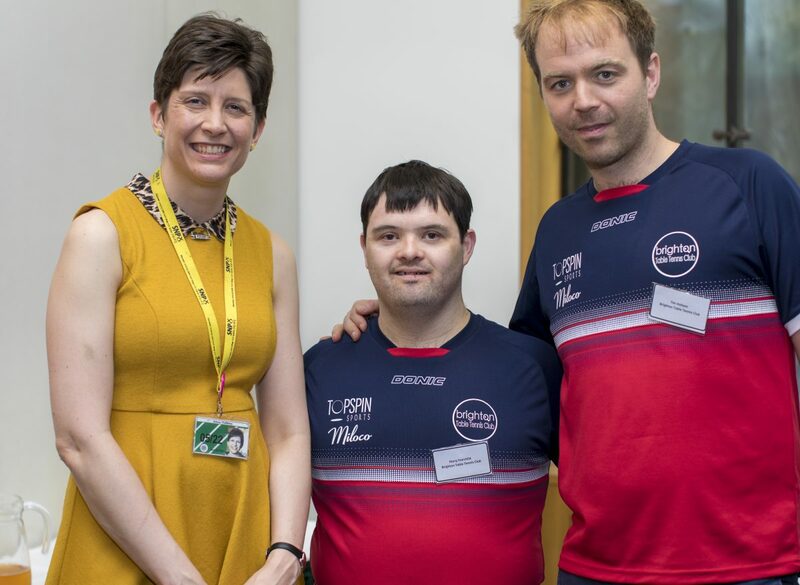 On April 18th, Alison Thewliss MP perfected the art of losing graciously as she was challenged to sporting contests by athletes with a learning disability at the All Party Parliamentary Group on Learning Disability’s event exploring pathways into elite sport. The event brought together a wide range of athletes and parents, Members of Parliament and National Governing Bodies to highlight the lack of opportunities for athletes with a learning disability to compete at the elite level. Rt Hon Mark Harper MP chaired the event and held a Q&A session with Paralympic gold-medal-winning swimmer, Jessica-Jane Applegate MBE who spoke about her experiences in elite sport. Talented runner, Kieran O’Hara, also spoke about his journey and struggles to make it to the elite level due to the lack of pathways. Members of the Great Britain Para Taekwondo team provided a demonstration, and the Brighton table tennis club kept Alison Thewliss MP on her toes as they showed her how to execute the perfect rally. “It is unacceptable, that despite dedicating their lives to training, athletes with a learning disability have such little opportunity to be recognised for their talents and are unable to achieve their dream of competing in the Paralympics alongside their disabled peers. “It is wholly unfair that since the ban in 2000 a shadow has been cast over athletes with a learning disability. Not only do we need to see more opportunities available at the Paralympics, but this inequality needs to be addressed in the UK as well. “I was proud to attend the APPG on Learning Disability’s event today and engage with the many talented athletes present. It was concerning to hear about the obstacles these athletes face when seeking to compete at the elite level and the event provided a good opportunity to highlight this to National Governing Bodies as well as fellow Members.